At first I was very upset and hurt to learn the things I was learning. I felt so alone and abandoned and didn’t know what to do. I remember praying constantly for help. Feeling all alone, I asked Jehovah for a close friend to learn TTATT. I knew many JW’s and had many friends, I just asked that he would open the eyes of a close friend so I wouldn’t be so alone. I actually sent links to jwfacts.com and pdf’s of Crisis of Conscience by Ray Franz to a few of my closest friends, begging them to read it. Daring them in fact with words such as, “don’t read this unless you want your life to change”. I had thought they all ignored me but I continued my prayers. A few months go by and one brother called me up and said he wanted to meet me for lunch. I was in shock and couldn’t wait to meet him, but was unsure exactly why as he wouldn’t tell me on the phone. We met and sure enough he had read the file I sent him. He said he was learning things he never knew and was still investigating it all. He was still a very active JW but knew something was very wrong with the organization. This brother was an elder that I had depended on myself for years and a very close friend. It also happened to be this elder who had written the letter on me that was in the file as he told me later! Was my prayer answered by Jehovah? Nothing could convince me otherwise. To be honest, I am sure all of this didn’t happen only because of the records on file however they didn’t help my situation. From what I know, these records follow you for years. I continued to pray all of the time because I do believe in the power of prayer. Jesus Christ, the Son of God prayed for hours alone to his father. If Jesus needed to pray, how much more so do we? Of course no prayer will be answered unless it is in accord with Gods will. Is it not his will that all men come to a accurate knowledge of truth? (1 Timothy 2:4) Surely this is one of the best things we can ask God for. I pray all the time for my family to learn TTATT. Even though they have warned me about sending them e-mail, I still do it from time to time. Maybe some “question I have” that will make them think in a non threatening way. Sometimes I have been very direct. I just feel if I am going to pray for this then I need to plant seeds of truth along with my prayers. Seeds are very tiny and can grow very huge. We need to plant them every where and then let God make them grow. 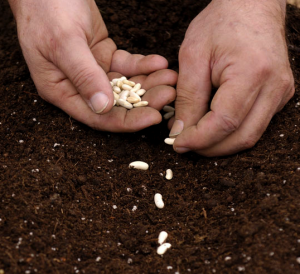 (1 Corinthians 3:6) However, if we don’t plant them, what does God have to work with? I know he can accomplish his will one way or the other but I plan to help things move along in whatever way I can. The heart is the soil and if I can place a seed there, I am going to do it. For ideas on how to plant seeds with friends see this article: How to Test the Waters with a JW Friend. The first question that most JW’s will ask is “Where do we go?” They have been trained to ask this question because in their minds the organization has replace Jesus Christ. The truth is we go to Jesus Christ himself as he taught us. He said, “I am the way and the truth and the life. No one comes to the Father except through me”. (John 14:6) He also said, “Neither be called ‘leaders,’ for YOUR Leader is one, the Christ.” ( Matthew 23:10) They also ask where do we gather together? Jesus was clear on this, he said “For where two or three come together in my name, there am I with them.” (Matthew 18:20) Maybe you too might be asking these questions. Pray for others to come to Christ and stop becoming slaves of men. (1 Corinthians 6:20) Be specific in your prayers and do not stop planting seeds of truth. (John 14:6) Pray to find other persons that you can gather together with and as Christ himself promised us, he will be there with you. Prayers do work,brother,yes,and as they are answered out of heaven,they are small,or big ‘miracles’as coincidence is not even possible in these many situations,Thankyou for all your loving concern and prayers for me and my son Micah.He’being discharged fro the hospital and on his way home.Many are the things that could’ve happened to him,tyhat night,as he fried up the 4 big Fly Amata poisonous mushrooms with some eggs and as I came in from work prepared to eat.I tried to get him to let me look this up on the web to see if they were poisonous before he ate them.He assured me he had thoroughly researched and had eaten them before,this wasn’t the first time.I started surfing and he started eating.I couldn’t find anything that looked like what he shuwed me in the uncooked ones he had,but the poisoning advice was to watch him close ,if poisone,symptoms would arise in 30-45 minutes.So,I sat at my desk,and watched him and talked to him,”are you alright?” yeah,Dad!,I’m feeling the way I’m s’posed to!…well I didn’t like the sound of that.I’m back online now,looking around,I heard him go outside,door shutting hard.After 10 minutes or so,he must’ve gone out in the yard,looked around,shotly I heard him come ih the front door.Then into his room,door slamming hard,odd?Then I heard a crash in the bedroom,and he came stumbling out of his room,glassy eyed,and obviously unconscious to his surroundings.Soaking wet head to toe.I caught him as he collapsed into my arms,took im into the living room into the big rocker;Micah,Micah,can you say anything,son? He just stared at me;but a lite of recognition came for an instant ,as he almost smiled,and tenderly put his hand to touch my face,he had made it home out of the woods and some pond somewhere,at night,only the angels know,but he had made it safe to dad…,I can’t go on anymore,maybe later….Yes JJ prayers are being answered,angels are flying around(and demons galore),and the Holy Spirit is delivering us seekers and broken hearted and sinners from death-every day.Let’s not give up believing in our God and his answering power. I’m glad your son made it John S. Keep the faith! I love this article. I would love to get some pointers from you. I am a Christian with a heart to witness to JW’s and Mormons. Drop me a line sometime. What can I say! That is it. Jesus is the way the truth and the life. He is our anchor. What you said about prayer! I just loved it. Your story was so good to hear. Brings comfort to see how our father is bringing so many out of the net of dispare into his sons arms. . Comfort also to know we are not alone any more. true sheep are in our midst. Thank you Bro. Ed. That is true, for some reason they don’t see that Jesus is where we go. This is due to the fact that the Watchtower had miss applied John 6:68 to themselves. Great article, enjoyed it a lot. I don’t understand tho if you were df and started to research and found lots of info, then why would you become reinstated? The reason I got reinstated is because all my family are JW’s. Also, I didn’t want to go out this way, for drinking. I felt like I owed it to my children and family to be humble even if this was a harsh judgment. If I didn’t get reinstated my all of my family would have never talked to me again and felt I was a very unrepentant sinner. I didn’t want that. So now i am reinstated and if I am DFed again it will not be because I over drank, it will be because I refuse to be a slave of man and choose Christ. Then it might be a little harder for them to reject me for this reason. Does this sound reasonable to you? I have planted lots of seeds. In those that I know are strong to take it I have planted seeds of doubt about certain WT doctrines and practises.I also try with other family and friends to share things from the bible that I have discovered that make them think, especially when related to the things Jesus said or did. And of course as you say Greybeard that the power of prayer is very strong and you see God’s hand working in many ways helping and guiding. Before I learned TTATT I felt very low spiritually and I felt as if I was being washed away,the only thing that kept me going was that I never stopped praying. I literally felt as if God’s hand was hanging on to me not wanting to let me go. Now I have a reason to go on and endure. I read my bible more and study it with an open heart and mind, rather than being ‘spoonfed’ from the WTS. And I also found this wonderful place, somewhere to come like a shelter from the storm with true fellow believers. Thank you disappointed. We are glad you are here and together we can encourage one another to keep our faith in Christ and his father. Never becoming slaves to men again. Your experience matches mine on so many points. I’ve yet to take the inhuman road to reinstatement, but it is something I do want to do to be able reach out to family and friends. And I’ve a good friend in particular that I pray for all the time, one who was closer than a brother. One day, if God wills, the Watchtower will come crumbling down. For now, she has enslaved more people than ancient Babylon ever did. I hope one day to see our people free and to be able to say, “She has fallen!” As God wills. It has made things better all around with my family and wife. However, they all know how I feel now about things. Some will not even speak to me about biblical things anymore. Some will. One of my boys actually listens to what I have to say and I have reached him in many ways. If I never would have let myself be wronged and get reinstated, I never would have been able to reach them. It is not as hard as you might think if you are doing it for the right reason. True the elders are hard to take. I actually was sorry for what happened so I didn’t need to fake that. As soon as I was reinstated I moved out of town and faded out and have not been back to the KH in a long time. Quote from Disappointed: I read my bible more and study it with an open heart and mind, rather than being ‘spoonfed’ from the WTS. And I also found this wonderful place, somewhere to come like a shelter from the storm with true fellow believers. Thankyou dear sister… there are so many places on the internet that ex JW’s go, places where they can meet like minded lost souls, but for me, this is the best! I feel ‘at home’ here where everyone has has had their eyes opened to the truth but still have a deep love for God and his Son and want to share their thoughts and feelings with others that feel the same way. We have a beautiful little congregation here, we may be dispersed across the globe but our hearts are together unity. Amen! In the first century our brothers and sisters would meet together on a daily basis to help each other and build each other up. Now in this day, with new technology like the Internet we too can come together on a daily basis, no matter where we live. As Jesus said, “For where two or three are gathered in my name, there am I among them.” (Matthew 18:20 ESV). I believe that we are gathered here in his name and I’m sure he is here to guide us. I believe the difference between this site and others like it is that we are not here to tear down, but rather build up. We may point out some painful home truths, but it’s done with a spirit of love and compassion. We are all here to make things right and to learn about the true Gospel that leads to salvation. Hi brother, in response to your above reply. Yes I do understand why you got reinstated. I am not df, and I don’t want to be either, I have children in the org. Although, if I got df for my views, I would not feel right in becoming reinstated. To not speak to your own family is just unthinkable, cruel and not Jehovah’s intent. I have experienced true loving arms here thru our recent family crisis…and this site is up and working with the Holy Spirit.I hope some can take courage from our experiences here;unburden themselves to one another,and trust each other with deepest problems in true belief that they will receive what they need. You know John, it is early days for me but I have real pleasure in talking about the word of God and spiritual things and do it whenever I can. I’m still going to meetings and on FS and I’m finding so many new things I’d not thought of before. For instance I just told my husband to read Rev 19:1 and then just left it and see what he thinks. Who knows what might happen? I drop things into a coversation and because I make sure what I say is bible based and not my own ideas and no one knows about my ‘mental liberation’ from the WTS it goes under the radar so to speak!My little arrows are definitely making a mark. It’s not necessarily that I want my family or friends to completely break away (not unless it’s what they desire) but I just love talking about Jesus and trying to push him to the forefront of any spiritual conversation.. which in my view is where he should be!! I grew up as a JW thinking that not only were we the sowers but also the harvesters. It wasn’t until I read this that I realized that we are neither and that it is only Christ that sows. We are helpers but Christ is the only one that can produce results. That’s why the Apostle Paul and all the other apostles preached the Gospel of Christ, not some made up fiction focused on human needs and wants like the JWs do. Good comments on sowing seeds,praying,and waiting for fruition.I just spent a pleasant 2 hours with a devout Baptist discussing the Bible.She quoted the scripture Ed did above about the weeds being thrown into the fire and the weeping and gnashing of teeth by them afterward,applying Jesus’words to mean there are some who are going to suffer in eternity in a burning hellfire.It seems simple to her that Jesus repeatedly refers to Hell as a burning place,which if we’re just looking at the KJ bible only,af first this appears to be a truism;(Rich man and Lazarus)Yet we also know the reason He used parables was so that looking,they might not see,and turn around and get the sense of it,and get healed.It appears hiding Bible truth was just as much a determination of the Lord as finding it is to us.It is stated He doesn’t want the wise and intellectual to understand the word anyway.They would just get into Christian groups and raise so many questions and doubts that there would be no platform on which faith could grow,so we have to be careful not to think too much of our own understanding,as we may just have a MISunderstanding on our minds.Better to stay humble.This is one main reason some here are careful not to get too deep on time speculation\prophecy,as too many false understandings have stumbled 1000s away from the Christian way when the interpretations fell flat.Yet on the other hand,how much our faith is bolstered by the Bible’s record of prophecies that have been fulfilled?Balance and reason,an open mind and desire to learn must also be considered.One rule of thumb might be;if it’s not specifically clear,leave room in our minds to consider other’s viewpoints or hypotheses.This ,I too,must apply in my thinking,and I appologize for beating up some on this site for trying to build up our faith with explanations of some prophecies,while also others should be applauded for masterful counterargument.If we get stumbled by some explanations,I guess we could leave that debate to others till we cool off,or give our interpretation witha pre-emptive IMO.What say ye? As a 2a.m. afterthought,I’d like to add,it would be very pleasant if all worshipers of Jehovah and his son could foget some of our differences in belief now as we’re seeming to enter an epochal time in the outworking of Satan’s plans to bring about causing a Great Tribulation upon this earth,and set everyone to fighting against his brother and totally drown out any love that may have survived till now.I again apologize for my rash and unloving statements to the Bible Student brethren who kindly were wont to share what had edified their faith,even tho,I didn’t agree with their conclusions,I’m sorry for trying to destroy their faith.I believe brother Dennis,Willie,and Humbleman were ones I probably offended the worst,so sorry.When I had our recent crisis,they were some of the first to pray publicly for my family.Bless you all.And I don’t mean to imply they are Bible Students,either,but just had a more balanced view of these that hold Russell’s teaching in high esteem.I am more inclined to listen now,more than ever,and not be as antagonistic to fellow worshippers. Thank you for those kind words, Br. John. About three months ago, right after I started commenting on this site, I said that I would hate to be held to what I believed even ten years ago, thus I particularly like Proverbs 4:18, “But the path of the just is as the shining light, that shineth more and more unto the perfect day.” That should be the experience of everyone who is spirit-begotten. The following scriptures seem very pertinent to our day: “We have also a more sure word of prophecy; whereunto ye do well that ye take heed, as unto a light that shineth in a dark place, until the day dawn, and the day star arise in your hearts; Knowing this first, that no prophecy of the scripture is of any private interpretation” (II Pet. 1:19,20). “And he said unto me, These sayings are faithful and true: and the Lord God of the holy prophets sent his angel to shew unto his servants the things which must shortly be done. Behold, I come quickly; blessed is he that keepeth the sayings of the prophecy of this book. And I John saw these things, and heard them. And when I had heard and seen, I fell down to worship before the feet of the angel which shewed me these things. Then saith he unto me, See thou do it not: for I am thy fellowservant, and of thy brethren the prophets, and of them which keep the sayings of this book: worship God. And he saith unto me, Seal not the sayings of the prophecy of this book: for the time is at hand” (Rev. 22:6-10). “And he said unto me, Thou must prophesy again before many peoples, and nations, and tongues, and kings” (Rev. 10:11). I have just been on another website, they are nearly all ex-JWs and somone had asked the question if they still believed the bible was inspired. So many said no and ridiculed it, it was so disheartening I left in disgust. I come here and find that even though there are different understandings, there is so much christian love and a desire to find the treasures of God’s word, it’s so uplifting. Thankyou dear brothers and sisters. While we may not agree with many of the teachings of the WTS, one thing I know that they correctly teach is the need to reject the world and its ways. But it is very sad for anyone who uses the WTS as an excuse to reject the precious salvation we have been offered. Sister disappointed, there are generally two reasons folk leave any religious organization; one, to free themselves from adhering to God’s word or two, to free themselves to adhering to God’s word. There is little else in-between. Unfortunately many who leave the JWs use their bad experiences as an excuse to go into or back into the worldly practices. It’s sad really as the apostle Peter said, “For it would have been better for them never to have known the way of righteousness than after knowing it to turn back from the holy commandment delivered to them.” (2 Peter 2:21 ESV) Even though the JWs have many things wrong, at least they teach morals and a need to separate ourselves from the world. Rejecting an organization is not wrong, rejecting our God and our Lord Jesus is a tragedy! Thankyou dear brothers. I truly believe the bible is inspired of God and to see how it has remained intact and available to billions of people over centuries of attempted erradication proves to me beyond doubt that it is. I also believe that in it’s own way the WTS has made it available to many other people in their own language. It has certainly helped me learn the contents of God’s word and given me a knowledge and understanding of what God’s requires of us. Even if the ways of going about it are different and I certainly disagree with the control WTS has over our lives and the way it has pushed Christ to one side and elevated itself. If it really was ‘Christ’s bride’ then she certainly isn’t a very submissive one!! However just because there are many things wrong with the WTS it does not invalidate God’s word in the eyes of his true believers. Greybeard, thanks for sharing more of your story. It is very encouraging! Im so happy Jehovah has given you a friend to help. He has done the same for me…and I didnt even have to ask! He knows what we can bear and what we need, he is so loving! My friend also happens to be my brother in law and we depend greatly on one another. We have a huge family of over 100 who are JWs so there are plenty of reasons and opportunities to plant seeds! May our Lord be with each of us as we persevere in prayer and plant seeds of truth to his glory! Bother Jamey, our prayers go out to our Father to aid you in your ministry. May he give you the courage of your convictions and to send the Helper to you so you can find the right words needed to win them over with love and patience. May He watch over you and prompt you at the opportune time so that you can provide a witness to the members of your family. And may our Lord Jesus, open their hearts and ears to hearing the Good News of the Gospel, so that they too can approach our Father through our Lord Jesus Christ, free from the bonds of human wisdom. In all these things we praise the one true God for the salvation we receive through His Son and our Lord Jesus; Amen. Thanks for the encouragement and the prayer my brother Ed! Its been a while since I have visited and its so nice to see the increase of brothers and sisters gathering together here to upbuild one another in our ministry and love for our only Father and His precious Son, our Lord Jesus Christ! Oh I feel so bad I typed Jamey instead of Jayme…again soooo sorry  It’s getting past my bed time. We seem to have stalled out in the front here.I have posted and try to post in the forums out back,but am getting very frustrated over glitches in replying and Yuku security problems,to the point of it is wasting my precious time at the computer at the public library.I typed a reply for the forum today,took me an hour,and it got lost in the web ether somehow.I’m about done back there,sorry.It seems the Holy Spirit is not behind my efforts there,sorry,I am very discouraged about it,cause I have some important things to say,and I’m being prevented for some reason…..HELP! I am not sure why the Yuku forum is giving you problems… I have a feeling it might be with the amount of time you are spending writing the post. If it is a long post Yuku might log you out. If this is what is happening to you, you should draft your post in another program such as Microsoft Word, then copy and paste it into the forum. If you do not know how to copy and paste you can google that. It is very easy. Dear bro. John… it seems you have had a struggle through the narrow door! Don’t give up dear brother, your words always give such a lot of encouragement and we appreciate all your efforts in sharing all you have with us, even if it hard for you at the moment! I love reading all your posts, even when you had to be inventive with your broken keyboard!! Dear Br. John, I would like to give another opinion about the Eisenhowers being Jehovah’s Witnesses. I can’t remember the name of the religious group that they were originally associated with when they, David and Ida, were first married, but a little before the turn of the century Dwight Eisenhower’s parents had embraced the teaching of Charles T. Russell and an ecclesia of Bible Students met in their home for many years. At one time I tried to see what I could find out on the Internet concerning this subject, but the general ignorance concerning the overtaking of the International Bible Students Association by Judge Rutherford and the turning of the portion that remained under his control into the Jehovah’s Witnesses–officially so named in 1931–have so muddied the waters that it has made finding out the facts from a secular source virtually impossible. To the best of my understanding and remembrance–since I looked in vain for an article that I had for many years on the subject, the father, David, seems to have withdrawn from the Bible Students sometime after 1914. Actually the date could have been critical, for we don’t know if he withdrew because he was consecrated to a date or if he objected to the usurpation of the IBS by Judge Rutherford after Pastor Russell’s death in 1916. The first reason would make us wonder if the father had reneged on his consecration–a second death issue. The second reason would make us think that he had remained faithful to Pastor Russell’s teaching. This latter thought is the way the article that I had, explained the situation, and it was said that the Chart of the Ages was seen still hanging in David and Ida’s living room at the time of the visit of the author of this particular article. Apparently it is a matter of fact that Ida, Dwight Eisenhower’s mother, became thoroughly loyal to the Jehovah’s Witnesses and remained a faithful “slave” until her death, even giving her husband David a JW funeral–wholly contrary to his wishes, it is reported. A great to-do is made on the Internet of the fact that the Eisenhower boys tried to “hide” their association with the JWs, even denying that they ever believed as the JWs do–which may be true depending on whether they were still young enough to be at home under the influence of their parents or old enough to be out of the home when the split in their parents religious allegiance came about. It seems credible that the father, and some or all seven of the sons, for whatever reasons, never had anything to do with the Jehovah’s Witnesses. I do not know what the whole truth of the matter actually is, but I thought you might be interested to hear another side of the story.